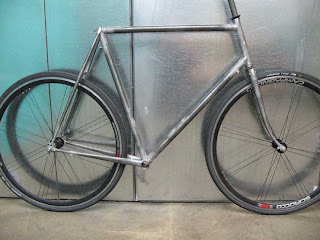 Here’s some pictures of Frank’s new club racer. 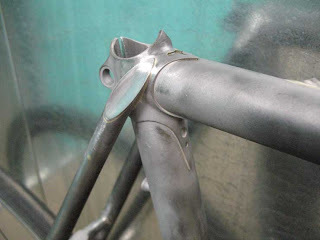 It’s made with Sachs lugs & bb shell. 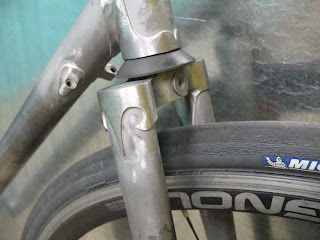 The fork crown is a stainless Pacenti crown. I still need to polish it before painting but I didn’t want to show it after polishing. 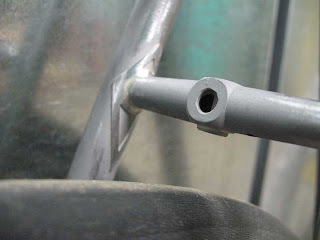 The lug edges always look strange due to the polishing rouge that builds up there. Of course, I could polish it, clean off the rouge then take photos of it again. We’ll see. 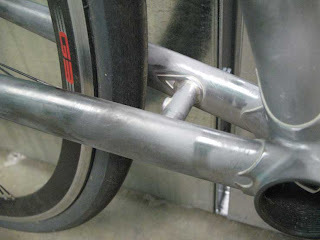 This frame is built with lightish tubes and takes standard reach caliper brakes. 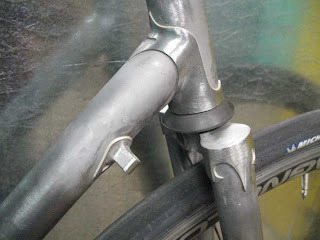 The bridges are equidistantly spaced from the axle center with fender mounts. This will allow for easier fender mounting if desired and the fender will follow the wheel radius. The last picture is of my new head badges. I was running low on brass ones so I decided to get some stainless ones. Sorry no more brass ones for a while. 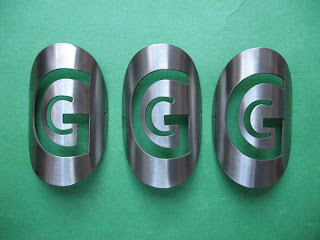 I like these stainless badges. They’re the same dimensions as my old brass badges.